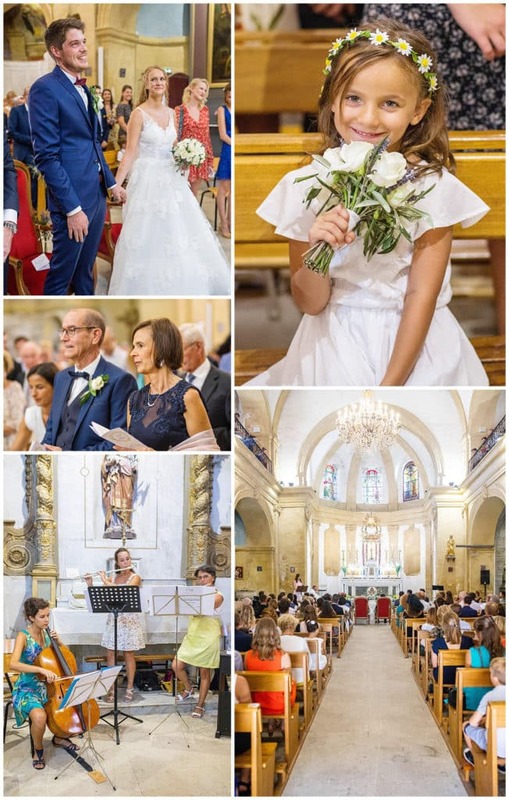 The bride and groom chose to get married in the church of Grans, a village near Salon-de-Provence, in the South of France. 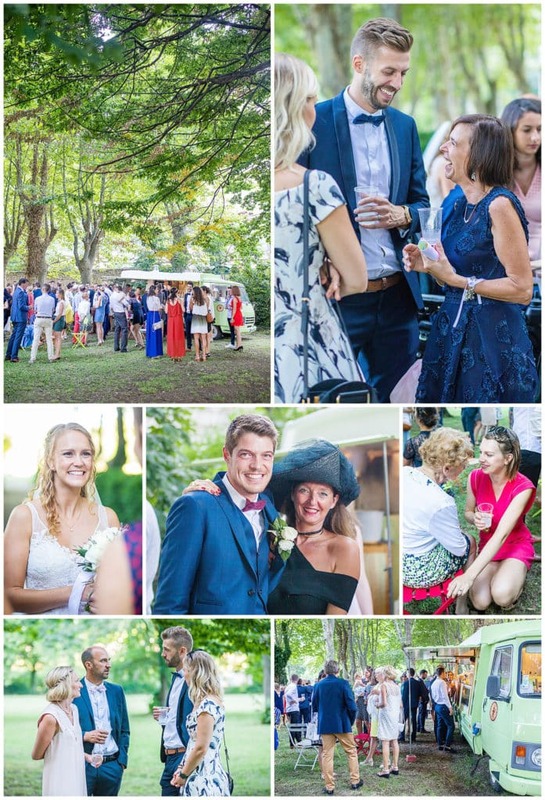 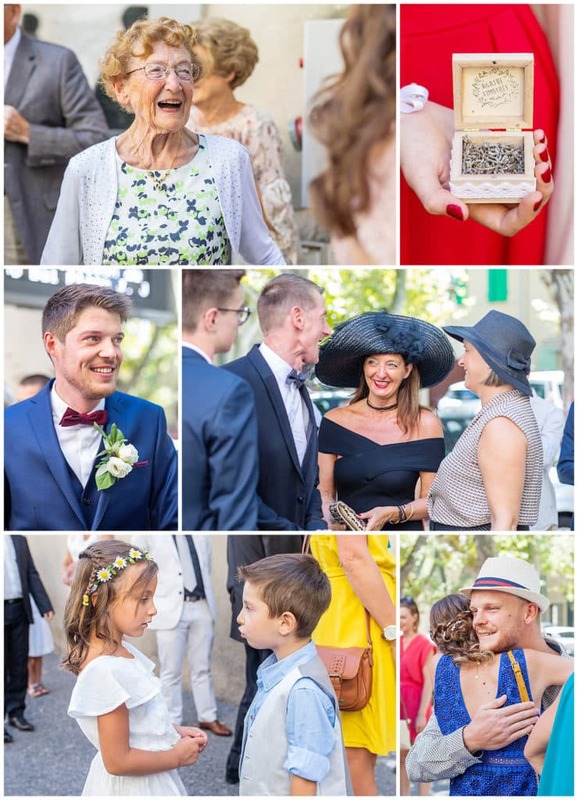 It was a sunny saturday afternoon of August, and their guests came all accross the country from North of France to meet the bride and groom in sunny Provence. 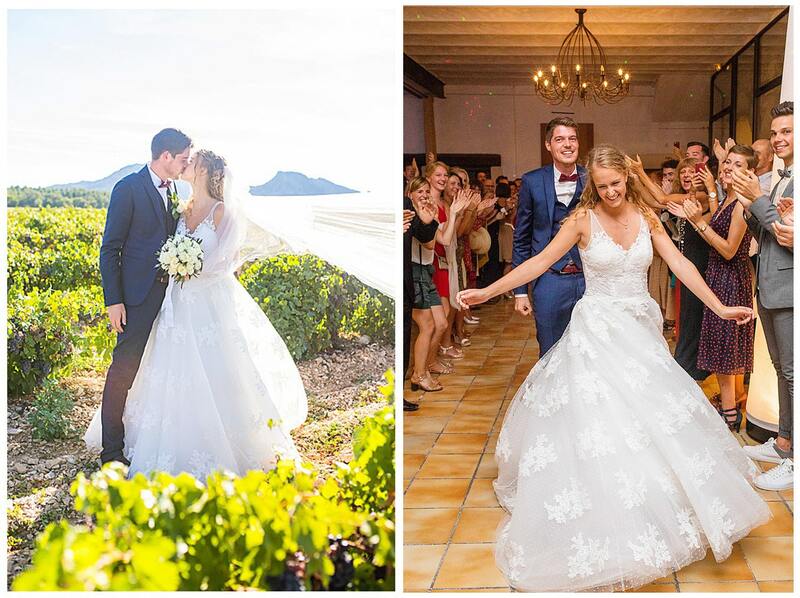 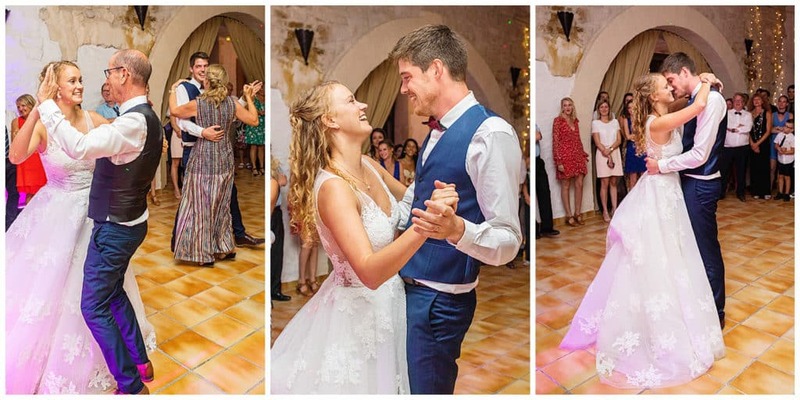 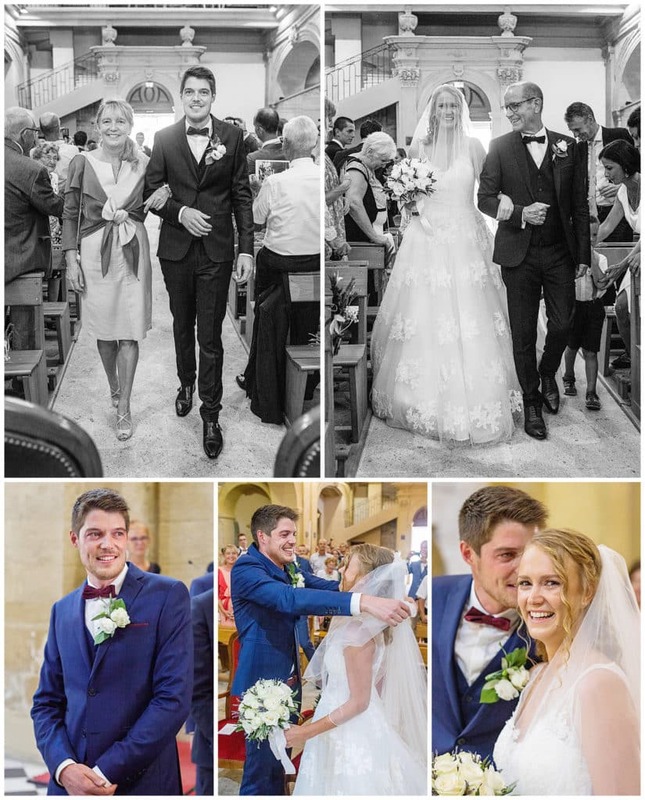 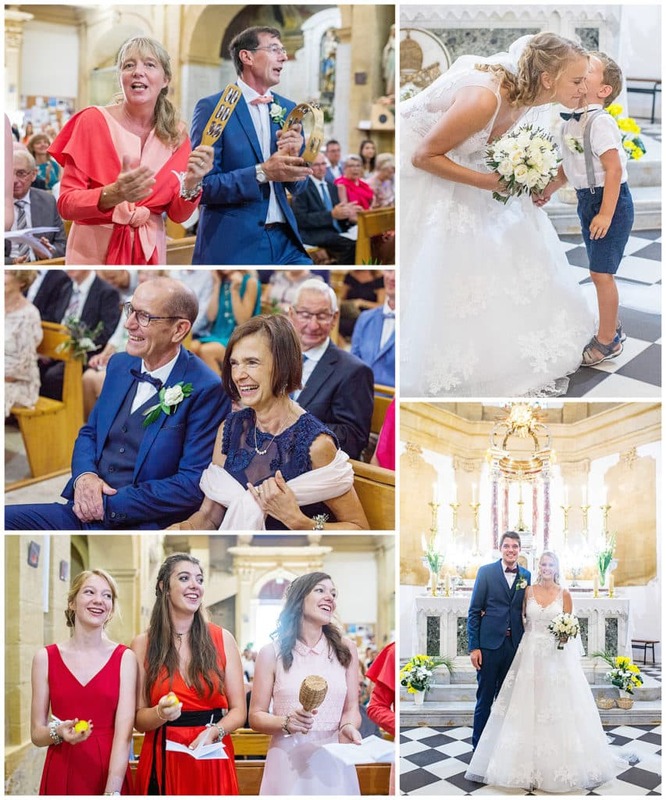 The couple incorporated live music and readings throughout the ceremony, performed by the priest from their hometown, who also came all the way to Provence for the wedding. 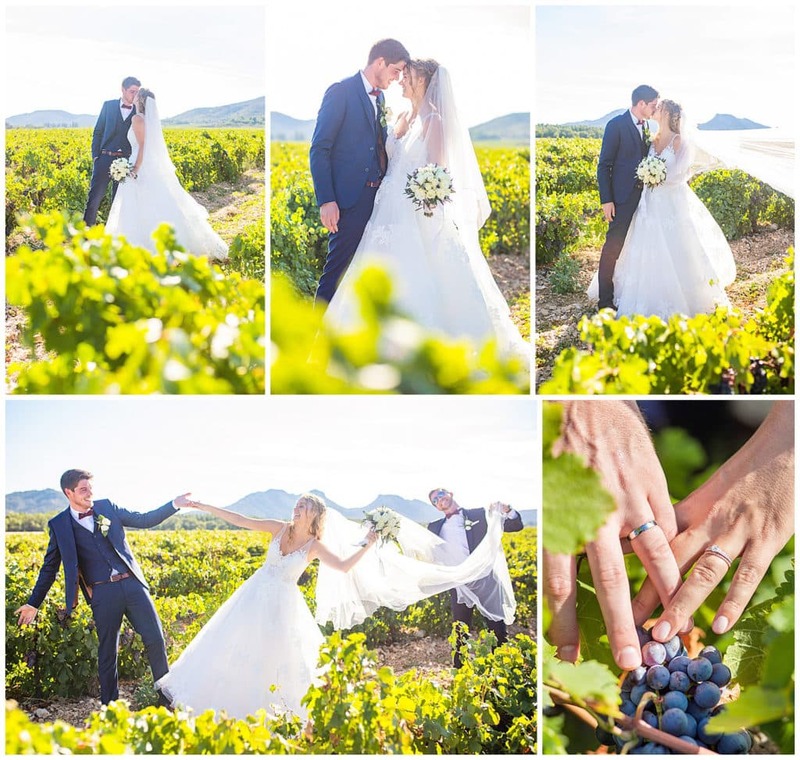 After stopping in some typical Provence vines for bride and groom portraits, the wedding continued at l’Auberge du Parc, in Orgon. 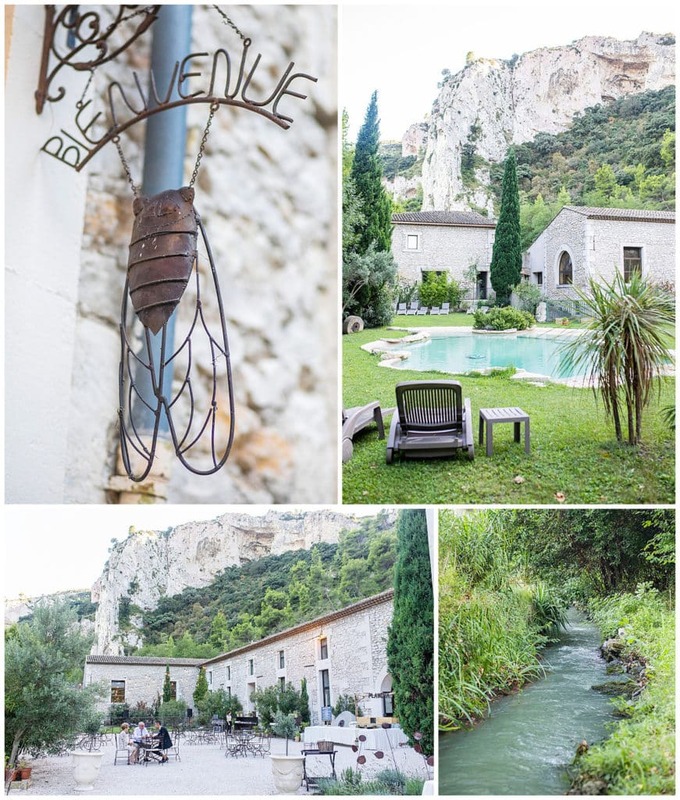 Located at the bottom of the cliffs, between the Luberon and Alpilles natural parks. 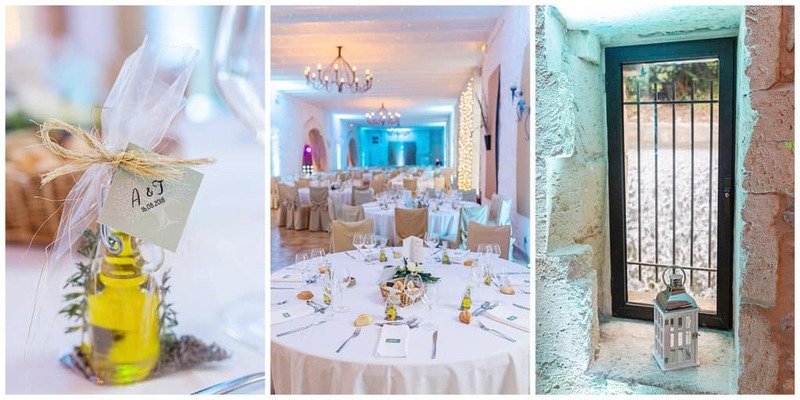 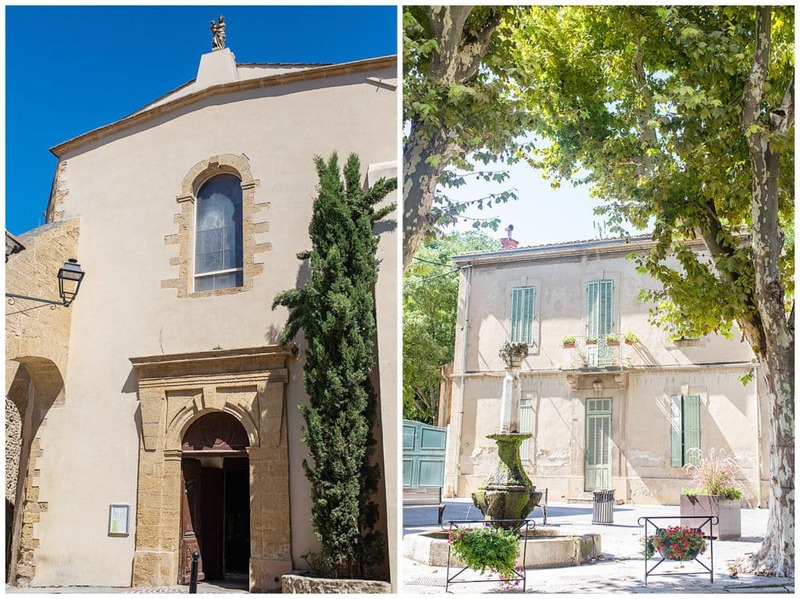 The 18th century building is surrounded by a small river and greenery, a perfect venue for a Provence wedding. 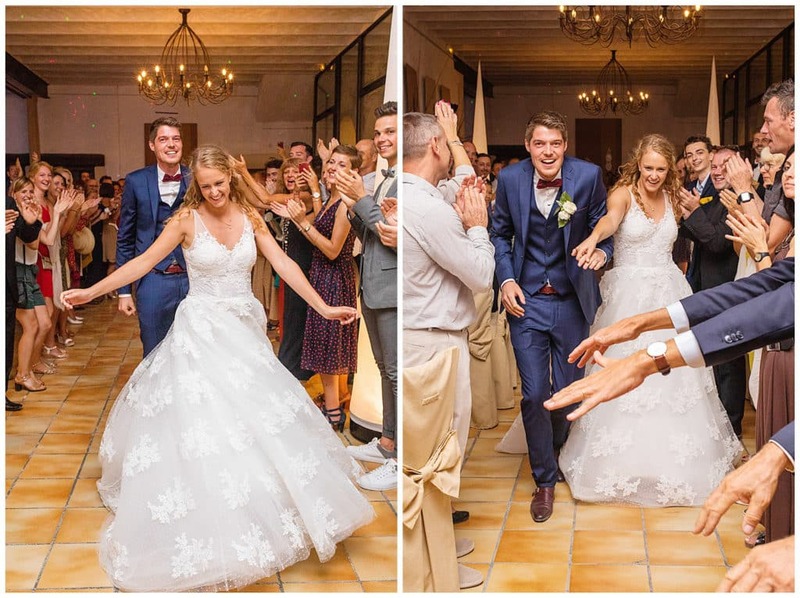 The newlyweds made their big entrance for the reception with a ton of energy and a big grin on their faces, which set the tone for the whole night! 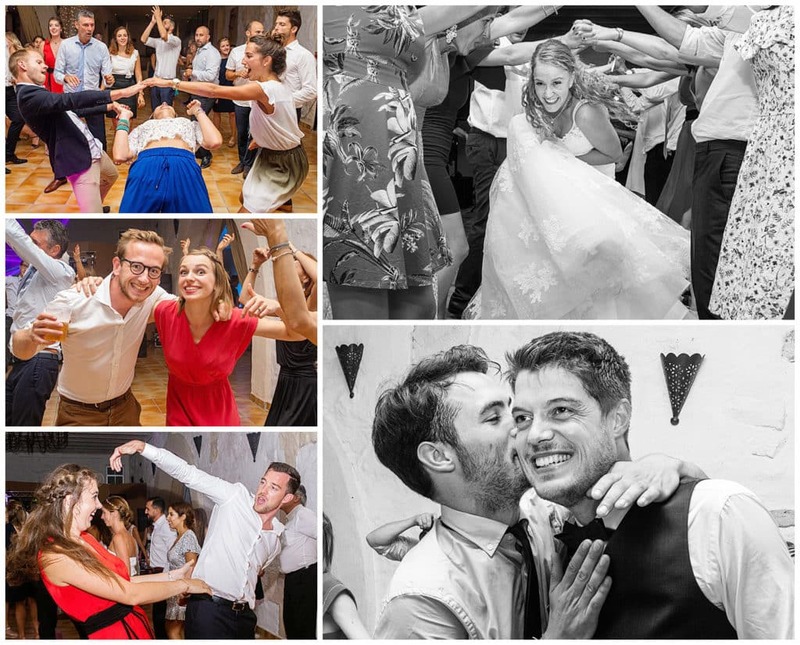 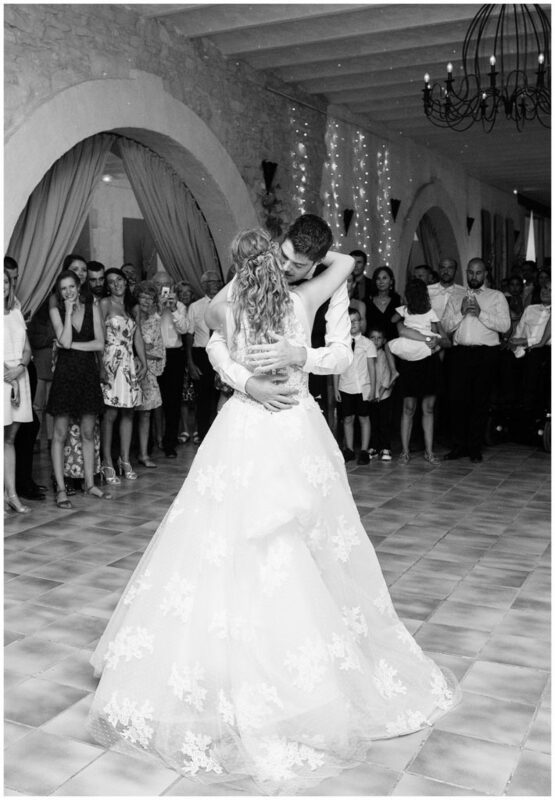 The traditional romantic first dance was soon followed by the famous “Time of my Life” song from the movie “Dirty Dancing”. 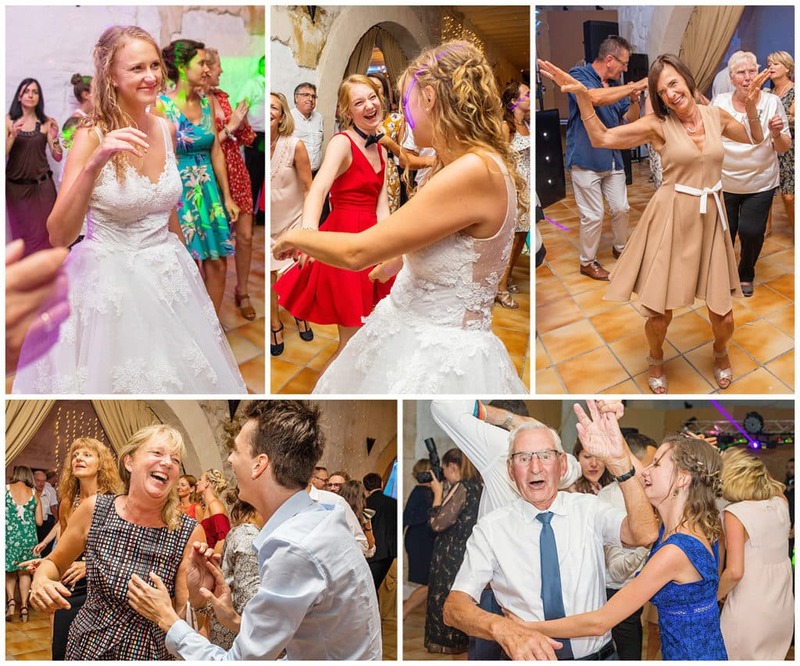 And the party was on! 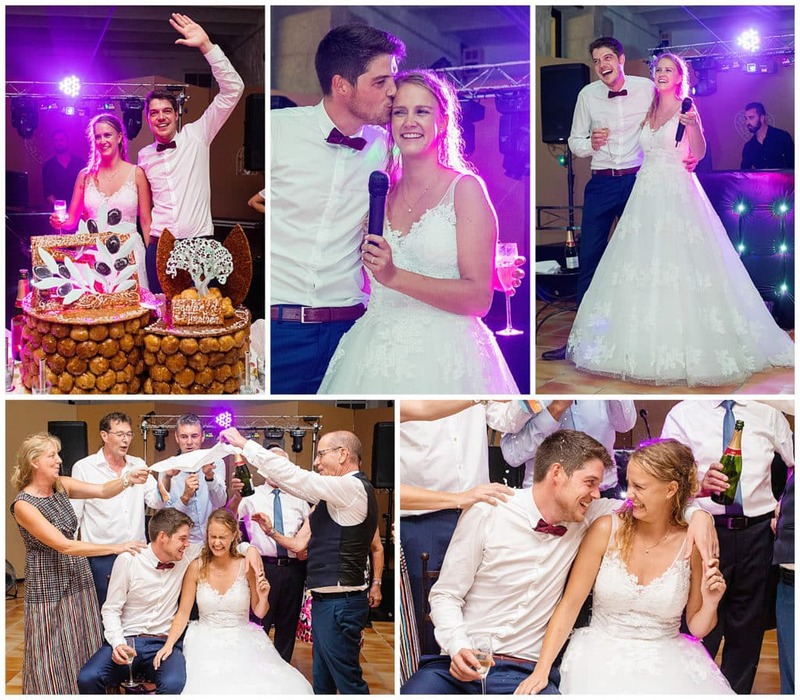 Then came the magnificent croquembouche and the bride and groom made a speech to thank everyone for coming all this way for their big day. 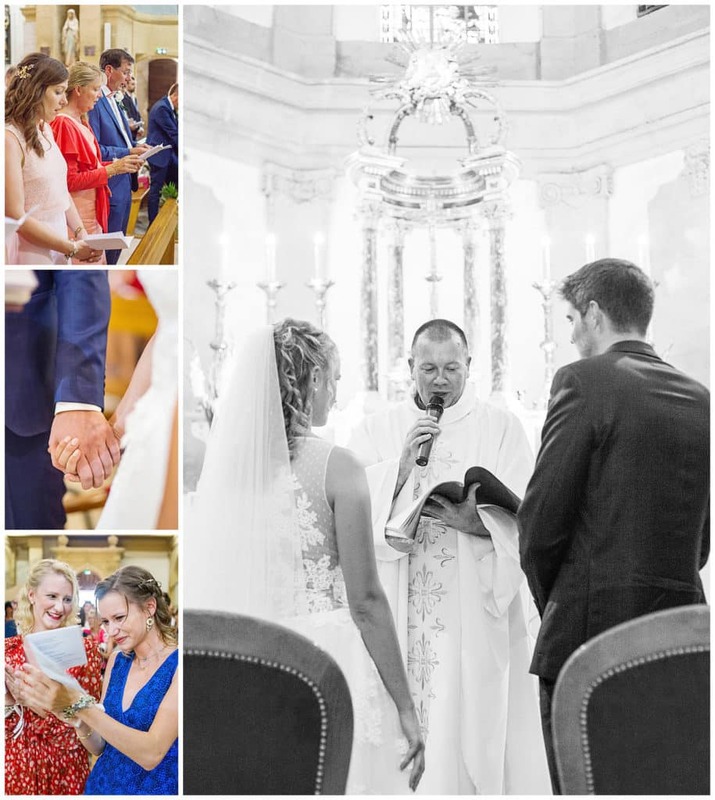 The couple then took part in a tradition from their native land: the vivat flamand: a song with half-French half-Latin lyrics in honor of the newlyweds. 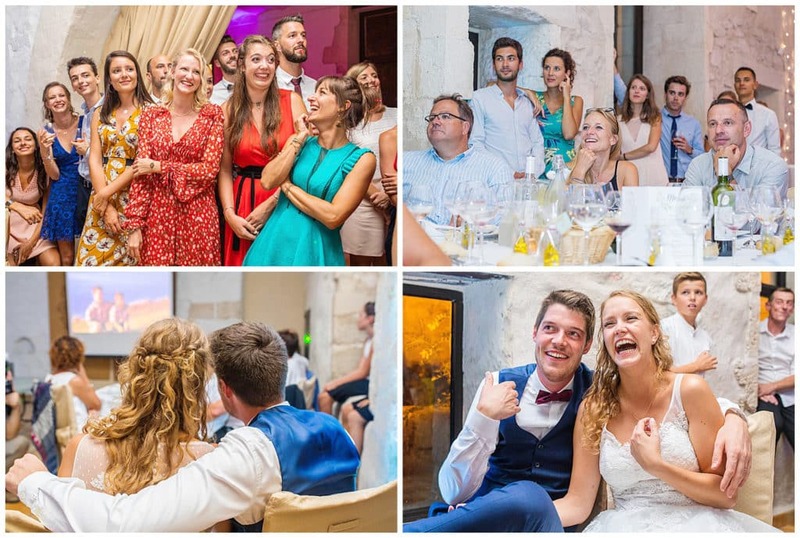 During the song, the bride and groom sit down while their loved ones pour champagne on a tissue over their heads. 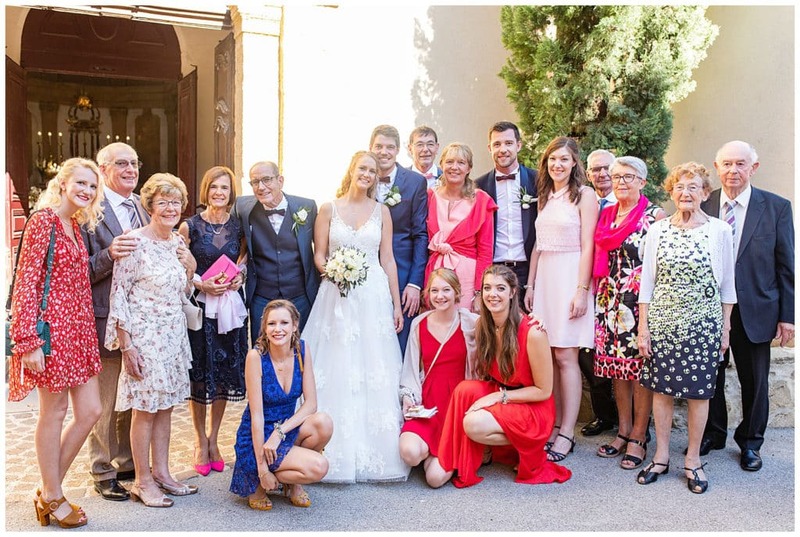 Singer Enrico Macias used to sing it so well in “Les gens du Nord”… the people from North of France are very friendly! 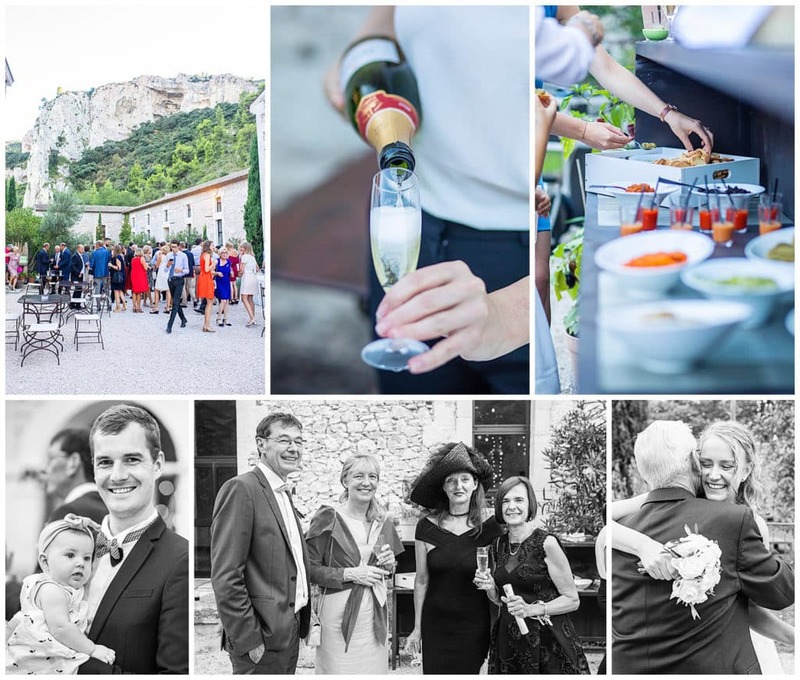 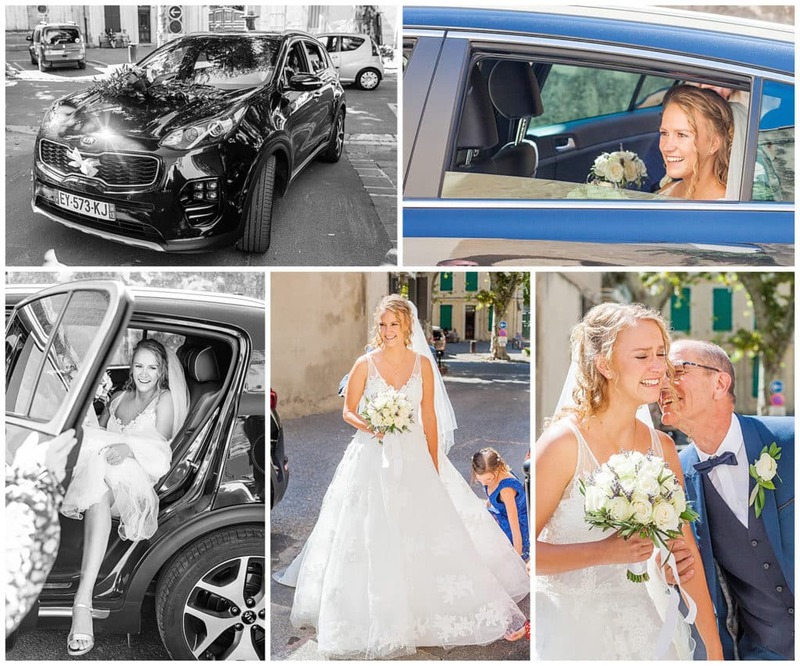 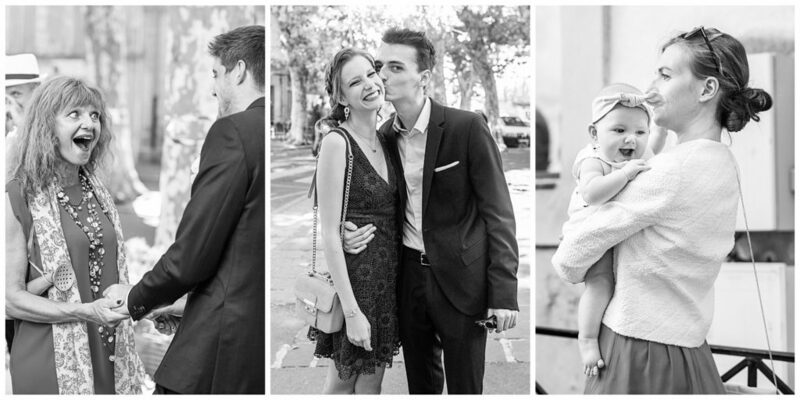 It was a pleasure to photograph Agathe and Tim’s wedding in Provence!